The Irish Church will celebrate a National Eucharistic Congress on the weekend of 26th-27th September 2015 at Knock Shrine, Co Mayo. The Congress will serve both as a spiritual preparation for the 51st International Eucharistic Congress 2016 in Cebu next January, and as an opportunity to focus in the light of our Eucharistic communion, on some of the important pastoral questions in the life of the Church at the present time. In many countries, in the year before the next International Eucharistic Congress, a National Congress is held, to provide an opportunity for the whole Church to participate in the preparatory journey of the host country. 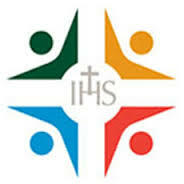 The theme for the National Congress, echoing the theme of IEC2016, is ?Christ, our Hope? (Col 1:27). It is our intention that, in so far as possible, this theme would be reflected in all homilies and presentations given at the National Eucharistic Congress. The National Eucharistic Congress, which is free of charge, will have a particular focus on Marriage and the Family as well as the Year of Consecrated Life and the upcoming Jubilee of Mercy. We look forward to welcoming you to Knock on 26th and 27th September. Through the intercession of Our Lady of Knock, we pray that the National Eucharistic Congress will be a time of great joy and hope for all and one that will lead each of us into a deeper relationship with Christ, our Hope. Consecrated Life, Laudato Si-Christian Ecology, Youth Space, Christ in our family, Faith of our Grandchildren, Caring for Marriage and the Family, Childrens Programme, The Jubilee of Mercy, Sharing Faith with our Children, Restoring Hope to Married Couples, Nurturing Vocations in the Family, Grow in Love Programme, Do our Parishes reach those on the Margins, Pilgrim Walk-Witness to Hope, Forming Young People as Disciples, Children of the Eucharist. There is no charge or booking for any event of the Congress. The Sacrament of Reconciliation will be available Saturday & Sunday from 11.00 to 17.30hrs. Blessed Sacrament Chapel will remain open continuously from 11.00 Saturday to 18.00hrs Sunday. The Knock Apparition and the Witnesses, a ?Witness Walk? around Knock will be led by local volunteers. Childrens Programme (Age 5-13approx): Saturday & Sunday 10.30 to 13.15hrs. Youth Programme (Age 14-25approx): Saturday 10.30 to 13.15hrs & 17.30 to 18.30hrs. Sunday 10.30 to 13.15hrs. Fr. Ted Sheehan, Adm. The Cathedral will represent the diocese at the National Eucharistic Congress in Knock. On Sunday 27th the Legion of Mary also have their national pilgrimage to Knock. To enable people to travel for this special time, there are at present, 2 buses leaving the Cathedral for Knock on the Sunday. If people would like the opportunity to travel and wish to book a place, please contact: Fr. Ted Sheehan Adm. The Cathedral on 0872033756 before Wednesday 23rd September.